I’ve always considered sight to be the most important of the senses, but this can be a fairly moot point as every argument put forward can be used for any of the other senses. For example, sight can help you easily recognise danger, although it can’t help you with a gas leek or that the pan is burning a hole in to your finger until you look at the point of contact. Sight is an enabler to identify something you want at what could be recognised as a pretty superficial level. Most people with all 5 senses will make their first impressions from what they see rather than how someone speaks, what they say or how they shake hands or give a hug (or whether they haven’t had a shower for a few days). In all honesty, I believe that the senses work better together in giving you a complete idea. 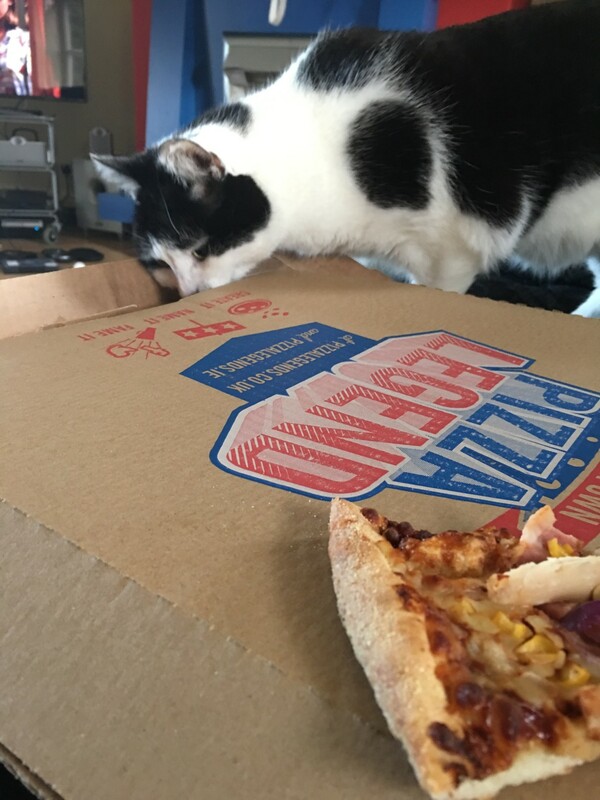 Moo using his eyes (and nose) to work out how to get pizza. The common phrase is that the eyes are the window to the soul. 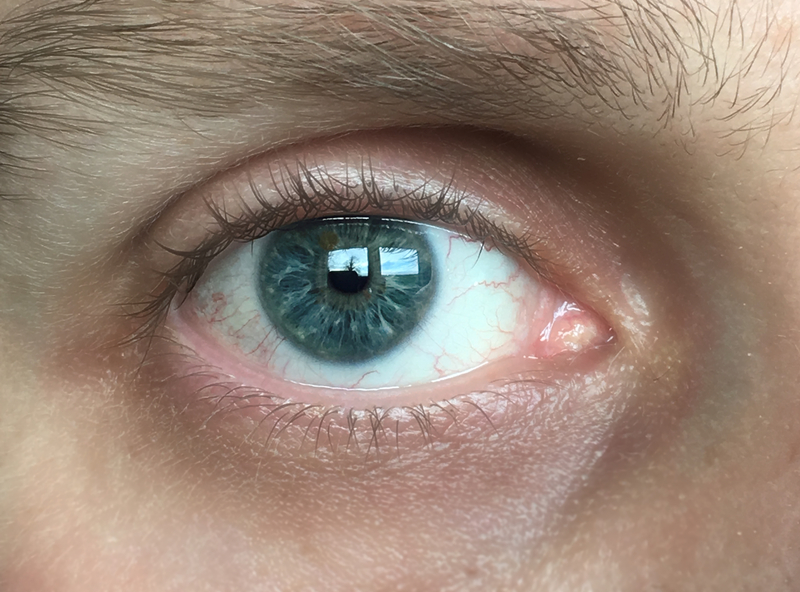 Far from this being a simple turn of phrase, scientists have suggested that there could be a closer connection between people’s eye structure and their personality because the genes responsible for the development of the iris also play a role in shaping part of the frontal lobe of the brain, which influences personality. The study itself looked at the crypts and contraction furrows of the iris and mapped them to known personality traits of their owners to find that those with densely packed crypts are warm-hearted, tender and trusting while those more contraction furrows were more neurotic, impulsive and likely to give way to cravings. Matthew in his Gospel (at 6:22) also referenced being able to see what is happening with someone through their eyes. While those scientists in Sweden suggested it could be possible for companies to use their results in psychoanalysis of potential employees, Matthew is probably closer to what most people think of when they hear the phrase. It’s possible to look at a photo of someone smiling at camera with their mouth, but their eyes are sad. I think my eye looks even more tired when on its own in a photo than what it does as part of a pair on my face! Maybe it is the telling the truth. And I won’t waste a minute without you. And I’m getting so tired and so old. And I won’t feel these slices and cuts. ‘Cause I need you to look into mine. ‘Cause they don’t get your soul or your fire. And we’ll walk from this dark room for the last time. We can do what we like, anywhere. WPC: Eye Spy (Sale) | Chris Breebaart Photography / What's (in) the picture?